Astigmatism is a considered to be one of the most misunderstood vision problems in children. It is also the most common refractive error seen for preschoolers that can occur with myopia. Astigmatism occurs due to an abnormal curvature of the eyeball. This means that when the light enters into the eyes it’s not correctly distributed to the retina, resulting in blurry vision. A recent study shows that children in America aged 5-17 have a 28% chance of being afflicted with astigmatism. Our kids’ ophthalmologist in Livingston will discuss important information you should know about your child’s astigmatism, such as its causes, signs and symptoms, types, and treatment. Astigmatism is caused by an abnormal curvature of the cornea, of the lens or both. Cornea is the transparent layer on the outside of the eyes, its main function is to transmit and focus the entry of light into the eye. A healthy cornea can properly retract light that enters in the eye. A child with astigmatism has egg-shaped cornea, which has two different curves, causing blurred vision and other symptoms. Astigmatism may be caused by genetic components, childhood eye injuries or surgeries. If you have observed any of the following signs and symptoms in your children, you should have them checked by a certified kids’ ophthalmologist. Lenticular astigmatism. Affects the lens instead of the cornea. The lens allows the images reach the retina, and this type of astigmatism makes it have variations. Myopic astigmatism. This type of astigmatism happens when astigmatism and nearsightedness are combined, causing the two curves to focus in front of the retina. Hyperopic astigmatism. This happens when farsightedness is combined with astigmatism, causing the two curves to focus behind the retina. Regular astigmatism means that the two curves are 90 degrees apart, while irregular astigmatism is not 90 degrees apart from each other. Irregular astigmatism can be caused by an eye injury, eye trauma, surgery or an eye condition called keratoconus, which makes the cornea gradually thinner. Astigmatism can mostly be corrected by the use of glasses, contacts or refractive surgery. These treatment options are best discussed with your child’s ophthalmologist to help you decide which one is best for your child. Eyeglasses. This is the most common corrective tool. 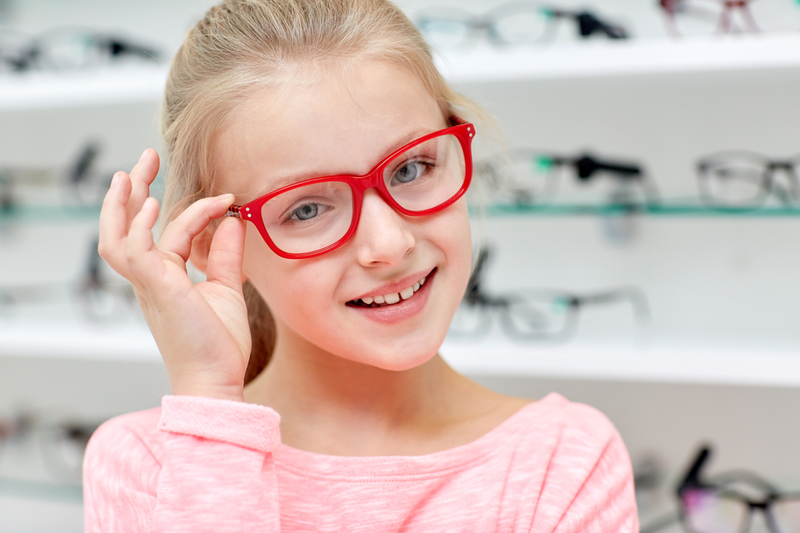 Your child’s eye doctor will prescribe cylinder types of lenses to correct the astigmatism. Contact lenses. Correcting lenses for astigmatism are called toric lenses, they’re mostly prescribed for low-grade astigmatism. Glass permeable contact lenses can also be another option – the same is true with hybrid contact lenses. Refractive surgery. This is a laser surgery that corrects the shape of the eye. Pediatric eye associates have a kids’ ophthalmologist who is board certified, specializing in diagnosis, evaluation and treatment of your child’s medical and surgical eye conditions and disorders.